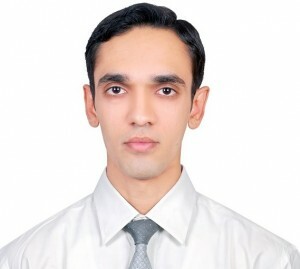 Vikas Sheth Maheshkumar is currently Country Project Manager at Findasense India. He is an alumnus of the International MBA, class of 2014. • How did you know about this job opportunity? I came to know about this opportunity via IE career portal only. Afterwards I did more research about the firm and found the opportunity to be interesting enough to pursue. • How did the CMC and your IE experience helped you during the recruiting process? IE experience was extremely valuable for me to land this job opportunity. One of the primary requirements for this position was experience of working with multicultural teams and IE had provided me tons of experience in that regards. Attributes like basics of problem solving approaches, analytic reasoning, presentation skills and understanding the people in general were icing on the cake. CMC also laid structured path for us during the entire year starting from CV and cover letter building to interview practice. I am sure CMC would continue to go to next level in order to guide students to land such good opportunities. • How did the recruiting process was: stages, tests, interviews,…etc.? Recruiting process is fairly straight forward. First and the most difficult stage is CV screening. Findasense is a very keen observer of all-round personalities. They give tremendous importance to cultural fit. They are young, energetic and creative company, and they would want your CV to reflect that. After that you have 4 rounds of interviews. First round is straight forward where an HR person would conduct interview based on behavioral, situational and CV questions. Second interview is just an informal discussion with one of the senior managers of the firm wherein discussion is about the business model of the firm. Third round is very elaborate one wherein you are required to travel to the office for the full day. This round is with one of the 3 partners of the firm and it is not very structured. Again focus here is about the cultural fit and attitude of the person. Overall process lasts for 6-7 hours including interview questions during lunch time. So be ready to speak for that long without any breaks!!! Finally the fourth round is with the CEO of the company where he would put more stress on your approach towards problem solving, generic observation skills and confidence. This round is just confirmation of the third round. • Would you like to share any tips with IMBA students interested in applying to Findasense? I sincerely hope that my answers would help anyone interested in Findasense. I would welcome the opportunity if someone is interested in the firm and wants to have a discussion with me.